Save costs with the administration of your estate. Connie Bruwer from PC Bruwer and Partners gives advice on this important topic. A reader wants to know how he can save costs on the administration of his estate. He and his wife are married under a prenuptial agreement. 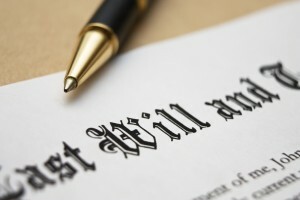 Both their wills state that all property of the deceased are bequeathed to the surviving spouse. Is there no way that the cost of administration of the estate can be reduced or be eliminated? It seems unreasonable that the surviving party have to incur a lot of expenses to retain his or her property. Your question touches on quite a few issues and I will give brief attention to the most important. The fact that you are married under a prenuptial agreement does not mean that you are obliged to have separate wills. You can also have a joint will. Similarly, people who are married in community of property can each have a separate will who deals with his or her half of the joint estate. It’s your choice. Inheritance tax is a huge cost and it makes sense to plan for it. Do not plan how money will be made available by means of an additional life insurance policy before you have even looked at ways to avoid taxes in the first place or to reduce it so that you really do not need an additional life insurance policy. On the transfer of assets between spouses – and this includes partners in any form – estate duty is payable. Something which you have to note is that the survivor, after he or she has inherited, with an enlarged estate, will probably qualify for inheritance tax. Inheritance tax is payable on an estate with a gross asset value of more than R3.5 million and is charged at 20%. Everything you own is taken into account for this, including your policies. Your death is considered an event that can result in capital gains tax (CGT). A transfer of assets takes place and your capital value has increased. The capital gains rate for individuals is 33.3%. There is an annual exemption of R30 000 that becomes R300 000 in the year of a person’s death. A primary residence with a capital gain under R2 million is also exempted from CGT. Estate tax is only levied after CGT is taken into account, but although estate tax is just above the limit of R3.5 million, CGT is payable in all cases where applicable. The property that one of you owns, will have to be transferred in the name of the surviving spouse – if the property belonged to the deceased. Then you will have to pay the lawyer’s transfer costs. Duty is usually not addressed. The deceased’s estate needs to be administered. The law allows that the administrator may charge a rate of 3.5% on the gross asset value of the estate. Please note, may charge, not to charge. Depending on the complexity of the estate and the willingness of the administrator, you can negotiate about the costs. My suggestion would be that you enter into a business agreement with your auditor to administer your estate against a reduced rate. Usually you can do this if this institution also drafts your will and do your estate planning. You do not mention whether you are married with or without accrual. If you are married with an accrual agreement, the one with the smallest growth in his estate will have a claim against the one with the largest estate.